Before 6pm everyone gets busy in loading and unloading their products to display in the stalls for the sale. 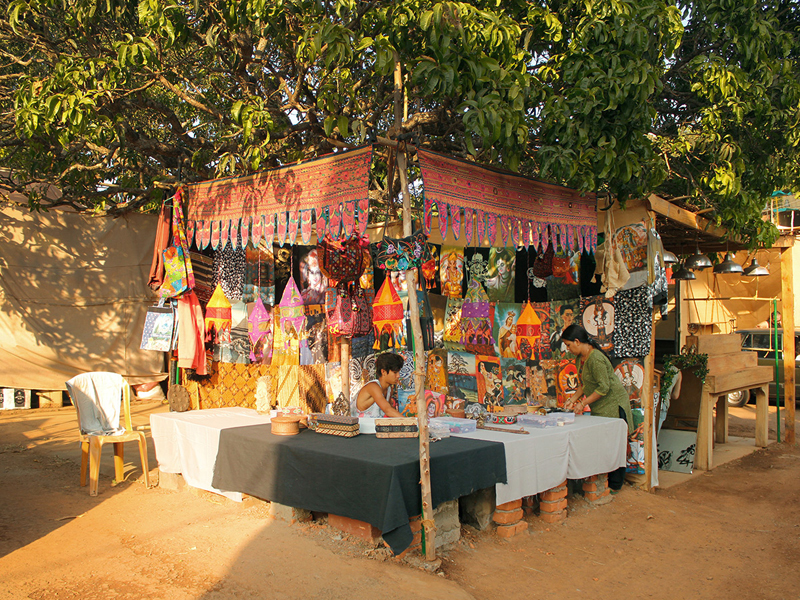 Local venders also get a chance to sell their stuff in the market. The huge range of products includes everything from day to day usable stuff like lanterns and lampshades. Venders take efforts to display their saleable things on every Saturday. The display and arrangement of bangles at the jewellery shop in the market. Seller at one of the garment stalls in the market. 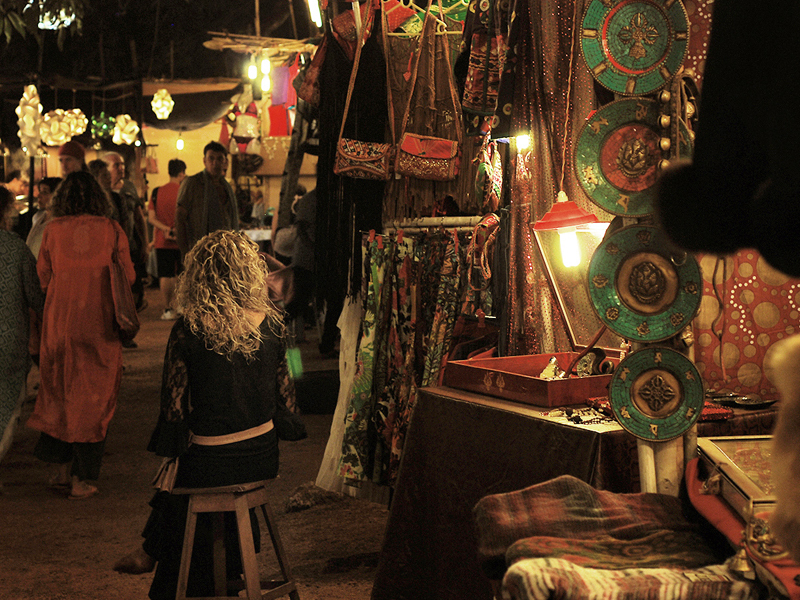 The Arpora Night Market has been an attraction in a huge number of local and foreign traders, including Europeans, Russians and Tibetans. 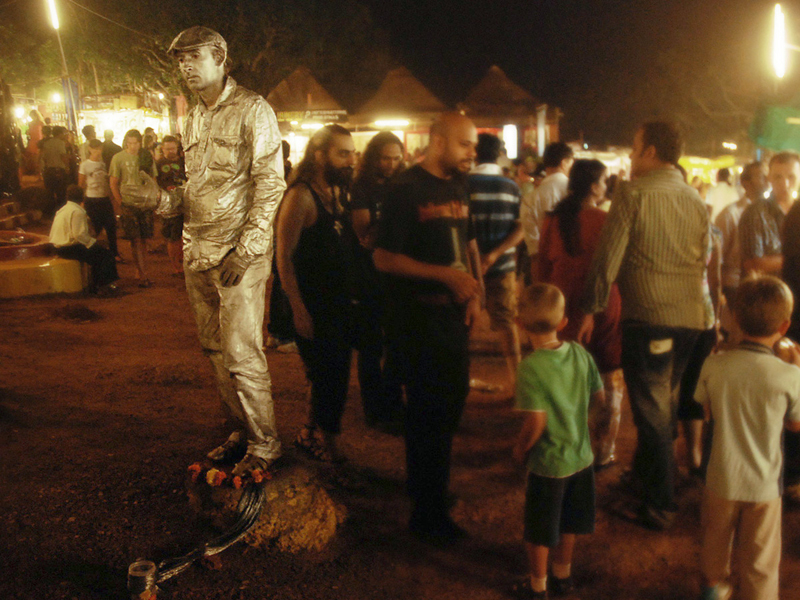 Living statue has been one of the attractions in the market. 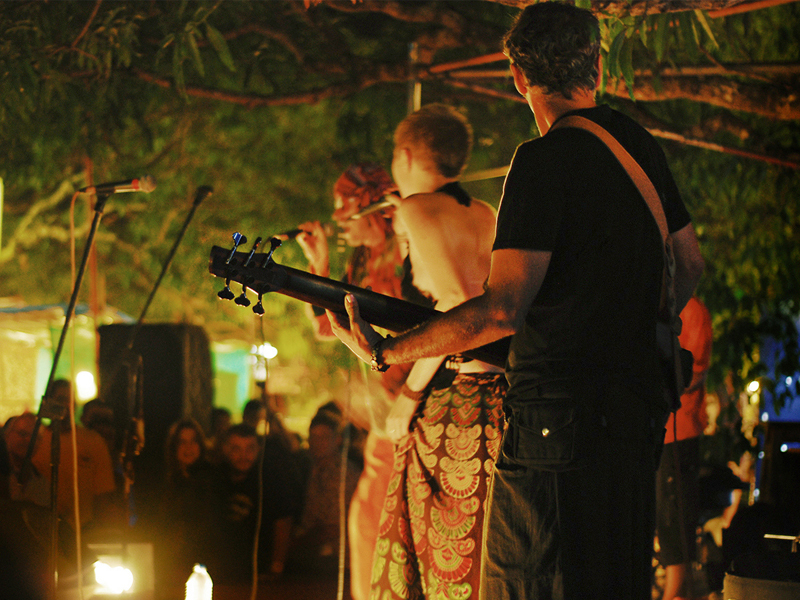 Travellers are performing gigs and jamming at the market. One of the food stalls in Saturday night market. 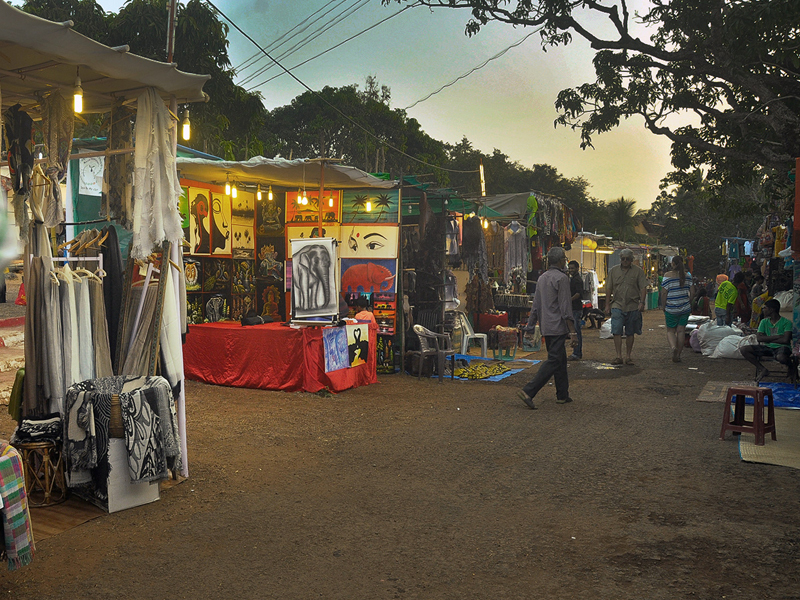 Saturday night market in Goa is one of its kind and a culmination of all things that a traveller expects from Goa. This place is a mesmerising combination of vibrant cultures including food, beverages, ethnic wears and dress, stalls, antiques and the great live rock music from local music bands and around the globe. 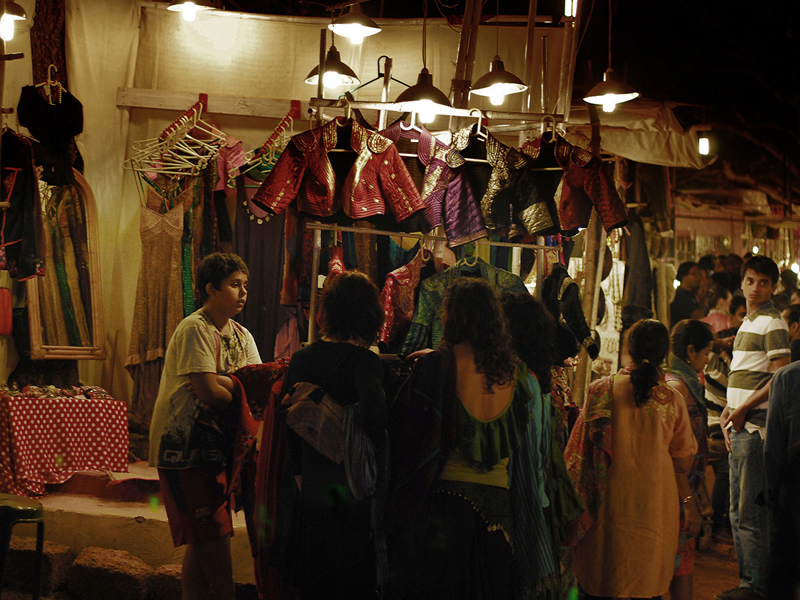 This night market in Arpora,is in a village close to the beach belt in north Goa. 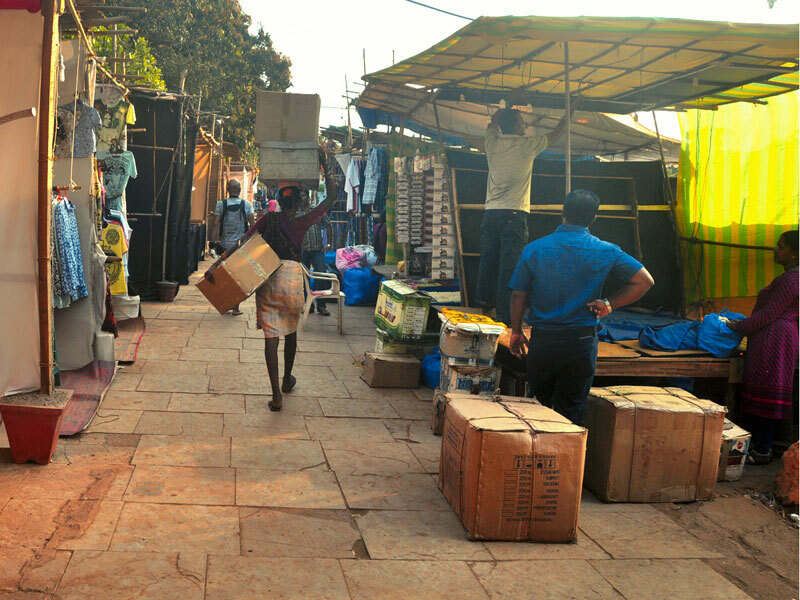 This market is also known as Saturday night market and night flea market. 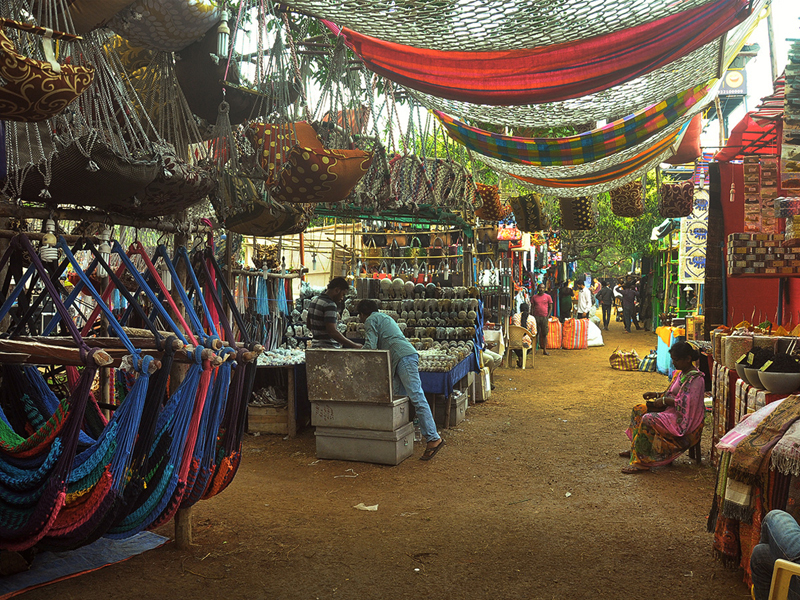 This market is the most popular in terms of nightlife, entertainment events and shopping attraction amongst the travellers from all over the world and that’s how it reflects the cosmopolitan and distinctive culture of Goa. This market is operational only during the season time which is October till the month of March and takes place every Saturday evening from 06:00 pm until the late night. 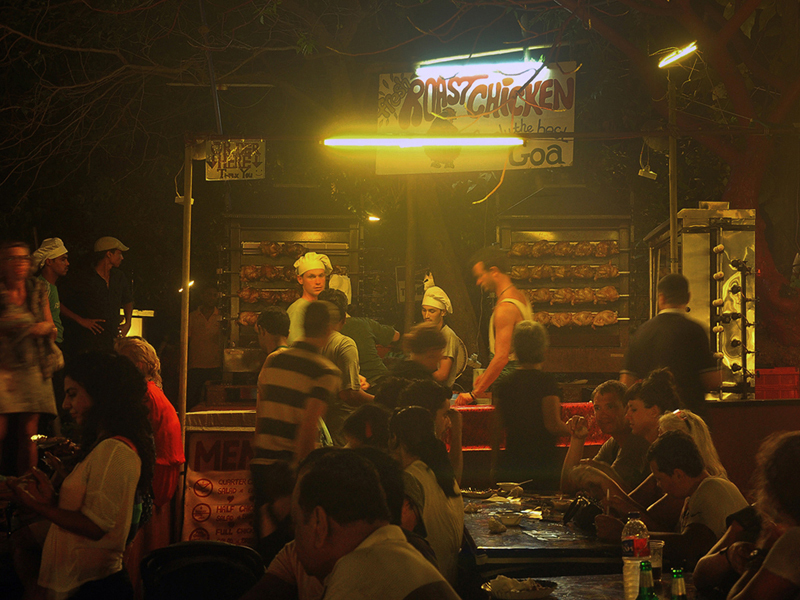 In the early seventies, a German guy named Ingo Grill got settled in Goa and resolved to open up a market that would be different from the flea markets of that time. 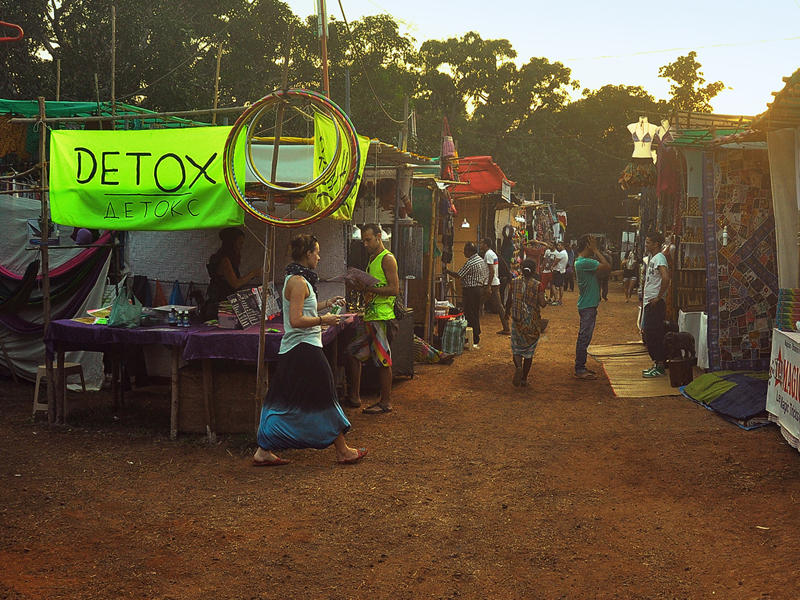 Ingo invited the creative people, musicians, craftsmen, gypsies, artists, Banjaras and singers from all over the world at the Arpora hills to demonstrate their skills and celebrate the seasons in Goa hence it was also named Ingo’s night market. 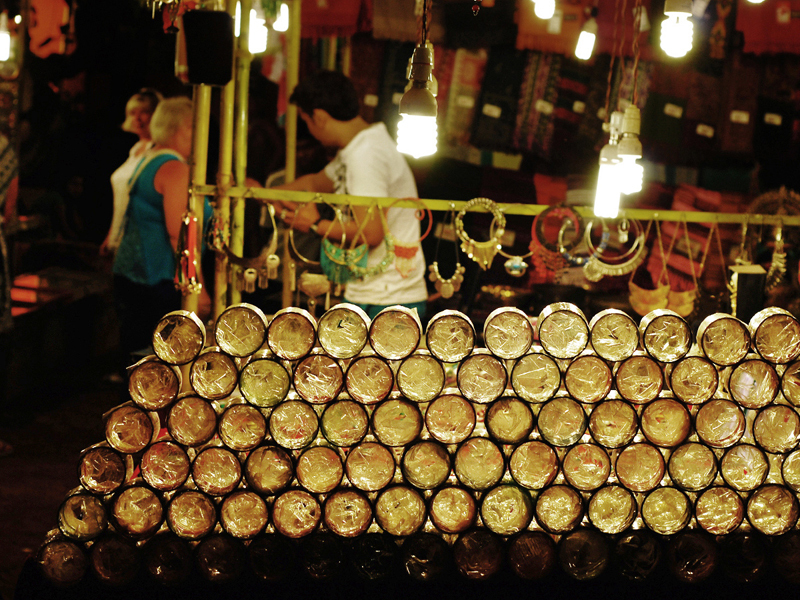 Visitors get an unforgettable experience at the Saturday night market where hundreds of vendors fill up the area selling all sorts of stuff. The colours and lighting are amazing, they can easily spend a few hours here as the place is huge with tons of shopping, food court, live music and beverage bars. Ingos night market has a distinct mix of great food, music and great designer stuff as well as stuff good enough for day to day needs. 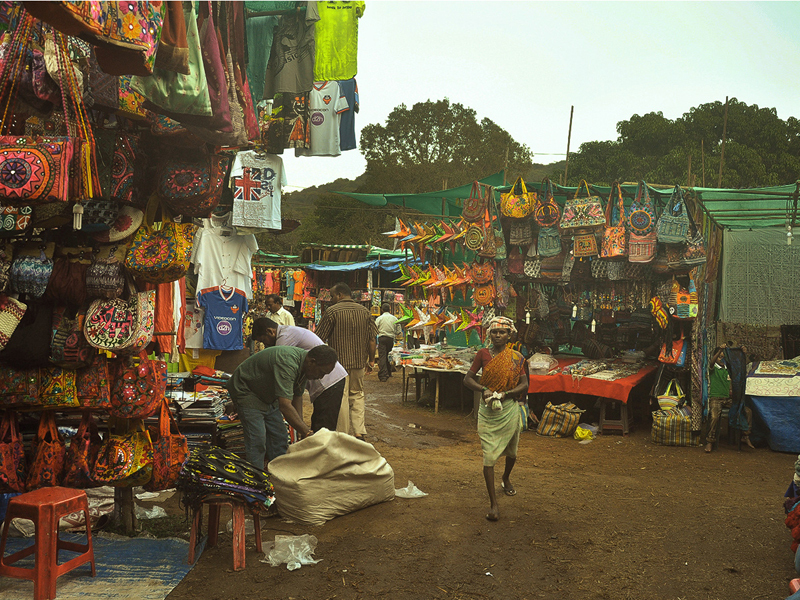 The market has a super blend of foreigners and Indians mixing effortlessly with the background of a beautiful set ambience. There is no place like this elsewhere in all of India.